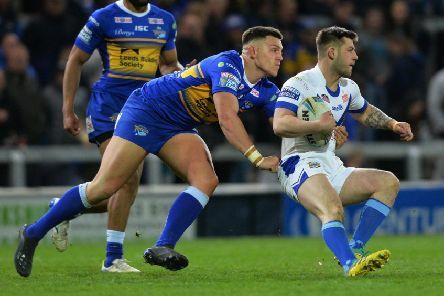 WITH HIS fellow teenager Harry Newman scoring four tries, Owen Trout’s impressive feat in Leeds Rhinos’ Coral Challenge Cup demolition of Workington Town may have gone under the radar. 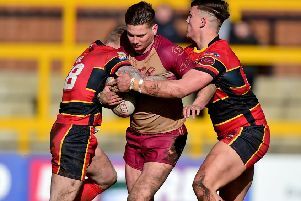 DEWSBURY RAMS winger Cameron Leeming is facing a potentially lengthy lay-off after his horror injury in the Coral Challenge Cup fifth-round win at Thatto Heath. 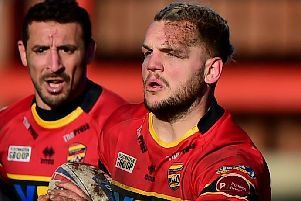 Dewsbury Rams secured their berth in the Coral Challenge Cup sixth round with a 36-10 win but they didn’t have everything their own way at amateurs, Thatto Heath. 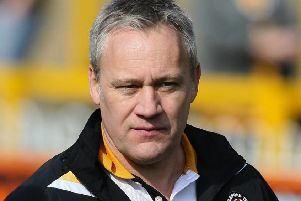 DEWSBURY RAMS were handed the best-possible draw in the Coral Challenge Cup fifth round, but coach Lee Greenwood knows it could turn sour if they aren’t on top of their game. 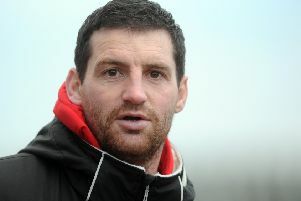 COACH LEE Greenwood believes lack of self-belief is proving costly for his Dewsbury Rams side. 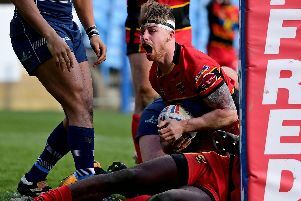 THREE-TRY CENTRE CAMERON Leeming has given Dewsbury Rams coach Lee Greenwood something to think about ahead of Sunday’s derby at Bradford Bulls. 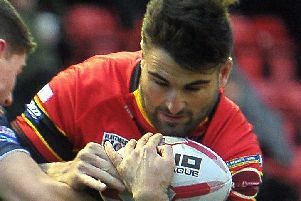 Centre Cameron Leeming scored a hat-trick of tries as Dewsbury Rams saw off the not insignificant threat of community club, West Hull, 32-6. 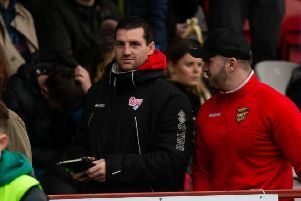 TOMORROW’S VISIT of West Hull is an opportunity for Dewsbury Rams to build momentum and give their home fans something to cheer, but coach Lee Greenwood insists nothing will be taken for granted. 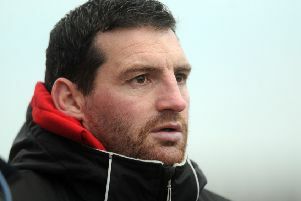 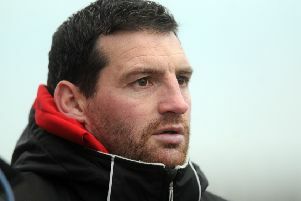 EVEN AFTER he had seen it, Dewsbury Rams coach Lee Greenwood didn’t quite believe his team’s second win of the season. 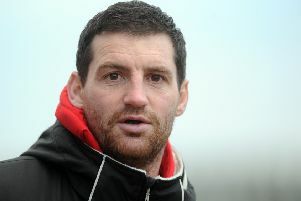 BOSS LEE Greenwood is fed up of the same old story from his Dewsbury Rams side. 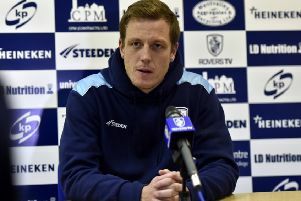 GOING ON loan to Dewsbury Rams is a good opportunity for me and I am looking forward to seeing what I can do against fully-grown men. Dewsbury Rams suffered another agonising home defeat as they were narrowly beaten by Sheffield Eagles at Crown Flatt. 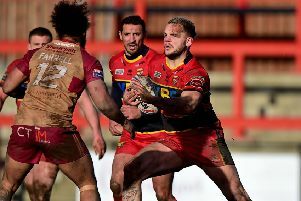 DEWSBURY RAMS will give themselves every chance against high-flying Sheffield Eagles tomorrow (3pm), if they turn up with the right attitude. 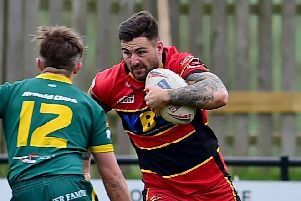 THE DRAW for the fourth round of the Coral Challenge Cup was kind to this area’s clubs with all five handed home advantage. 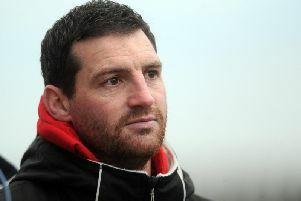 BOSS LEE Greenwood felt Dewsbury Rams’ 26-0 defeat at Halifax was a fair reflection of their current situation. 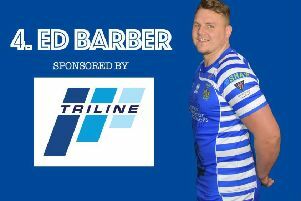 Three tries from loose-forward Ed Barber helped Halifax to a convincing 26-0 Championship win over Dewsbury at the Shay.